Hungry Heffy Crafts — Constantly feeling a hunger to craft! I am so excited that two of my most favourite things are doing a collaboration, and it is finally time to share the exciting news! 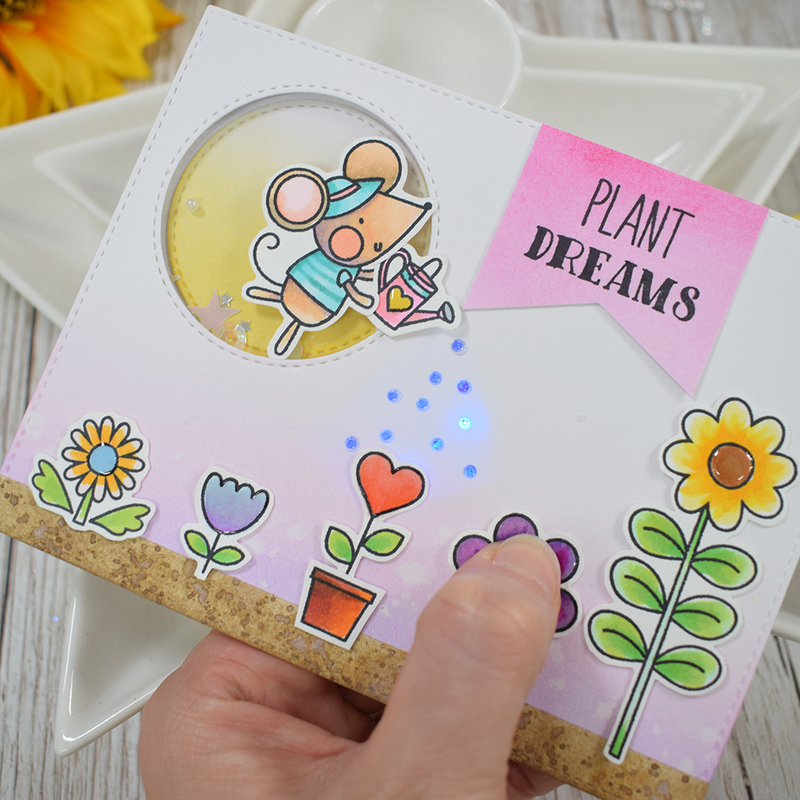 Lawn Fawn and Chibitronics have paired up to create a fun card kit and there is the most darling little robot stamp that is sure to light up your life!! 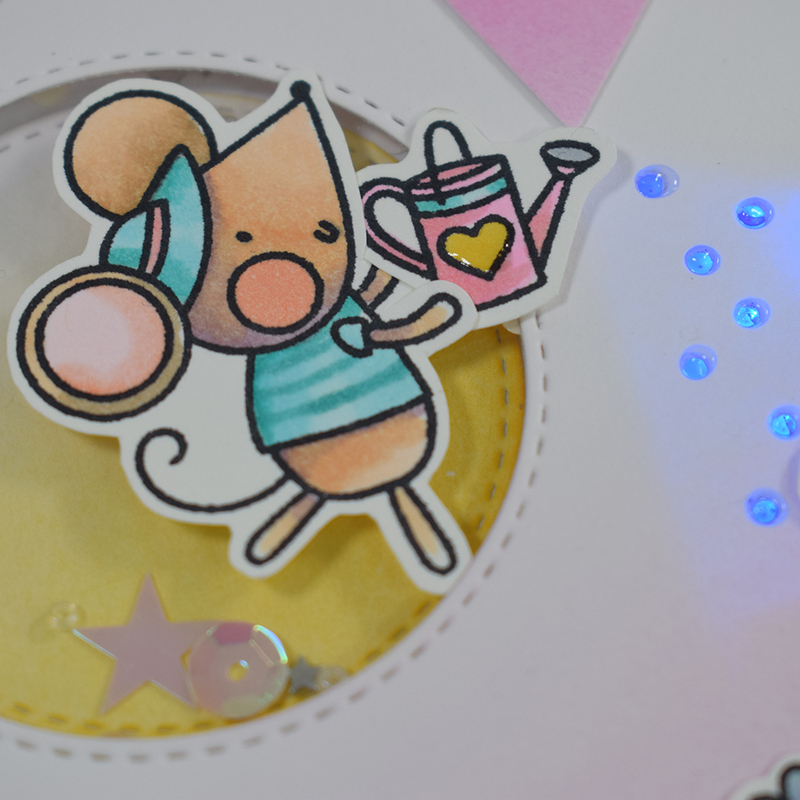 Join me and the team over on the Chibitronics blog this week as we showcase lots of projects made using Lawn Fawn products and some using the exclusive Robot stamp and die included in the kit. 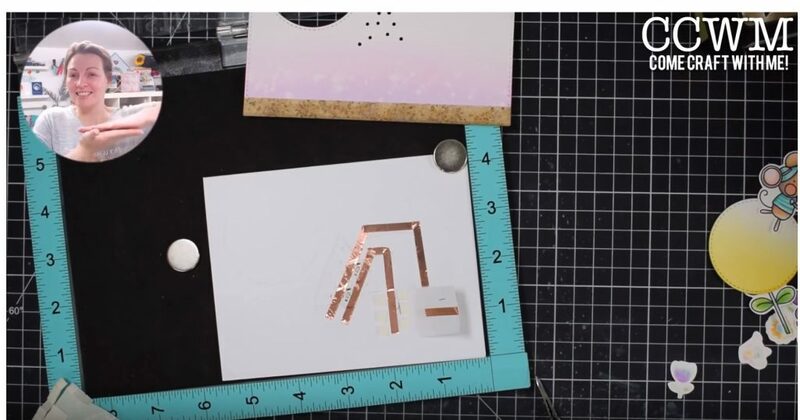 For those of you who feel a little daunted by using LEDs on your cards, this kit is perfect, because you get some circuit templates included with the kit. Perfect! I have two cards to share with you today! Let’s jump right in! 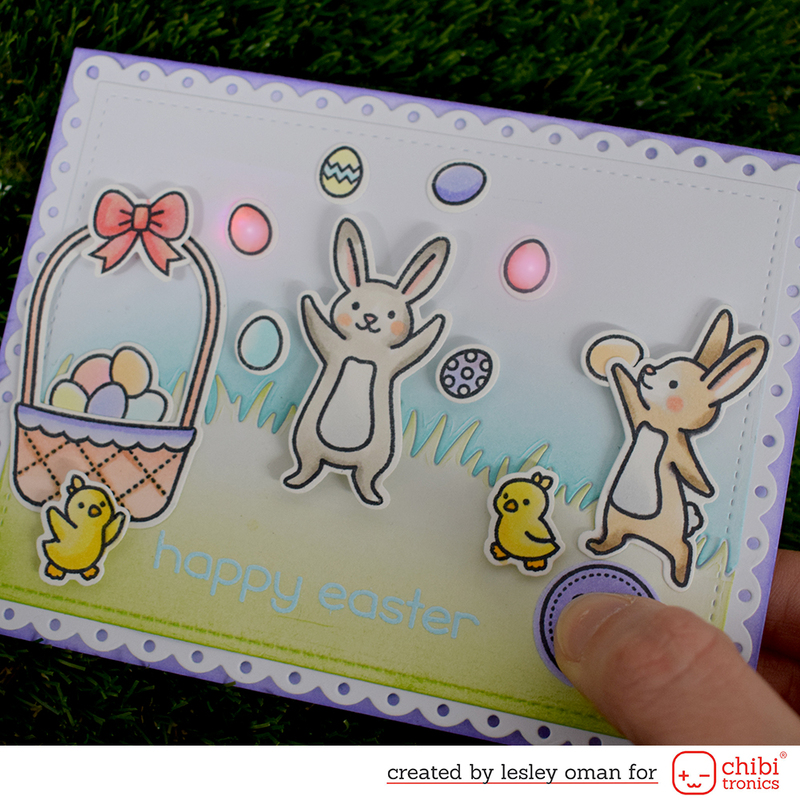 This first card has been made using the template in the kit, and it features the ‘Eggstra Amazing Easter’ stamps and dies. Aren’t these bunnies so cute!? I kept my colour pallet to fresh, almost pastel colours – ideal for Springtime! I used some blending brushes to add the soft ink feel to the grass and sky, and I used a foam blending tool to add the lavender around the edge. 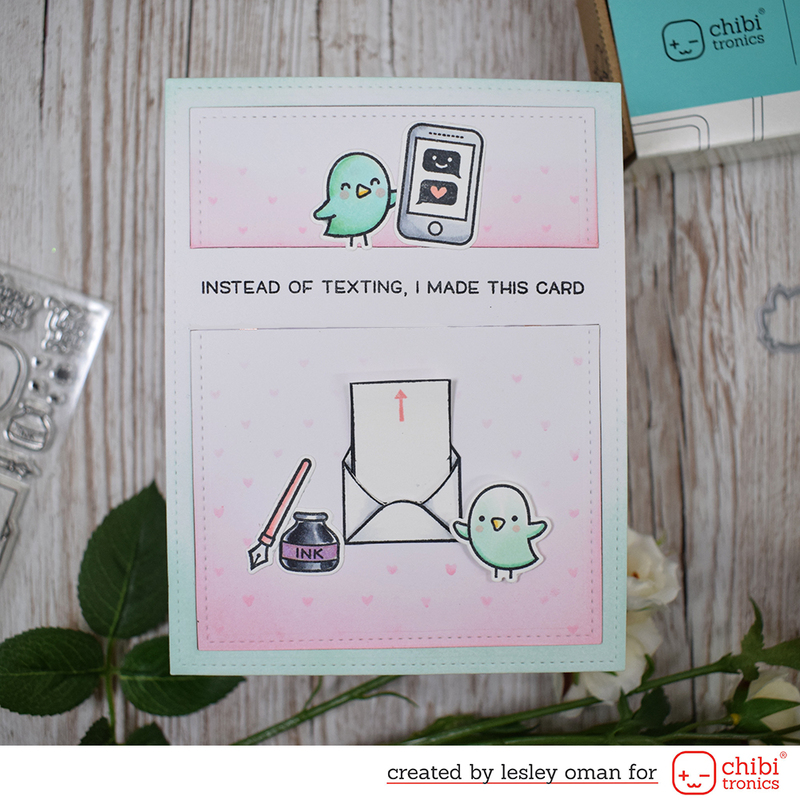 I grabbed the ‘Push Here’ stamp set and also the ‘Fancy Scalloped Rectangle Stackables’ to help me create this card. I love the lacey feel created by the scalloped borders all around. When you press down on the button, the two pink eggs light up! Such fun! 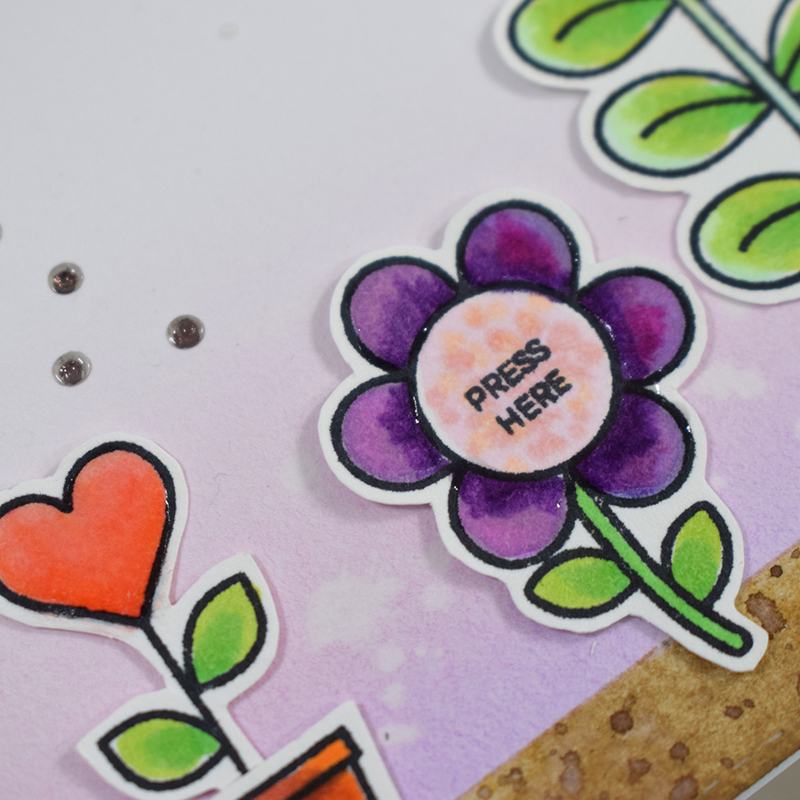 I actually made this card during my weekly ‘Come Craft With Me’ LIVE stream over on YouTube. Every Friday at 9pm UK time, I turn on the camera and get crafty! I love chatting to everyone, answering your questions and following your suggestions! If you fancy taking a look and watching the video on replay, feel free to head over and check out the video. Better still why not join me LIVE and join the fun! Let’s take a look at my second card, this time I made it using the Lawn Fawn ‘Love Letters’ set. I ADORE this set! So cute! For this one, I wanted to create a light-up mechanism that operated with a pull tab, and I decided to make the letter the pull tab! 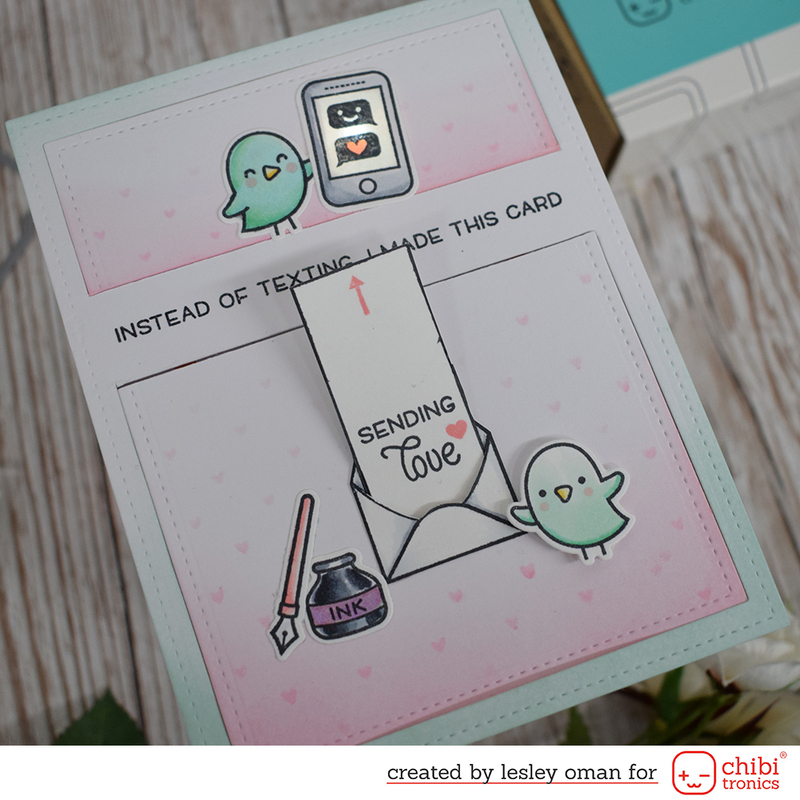 I used the arrow from the ‘Push Here’ stamp set to show that the letter can be pulled upwards! Et voila! A little secret message is revealed and what’s more, the phone screen illuminates! So fun! As for the card, I used the large and small rectangle dies and did some partial die cutting to create the two panels on the top and bottom. I added soft colour with distress oxides and a blending brush and then added hearts using a SSS stencil and a foam blending tool. 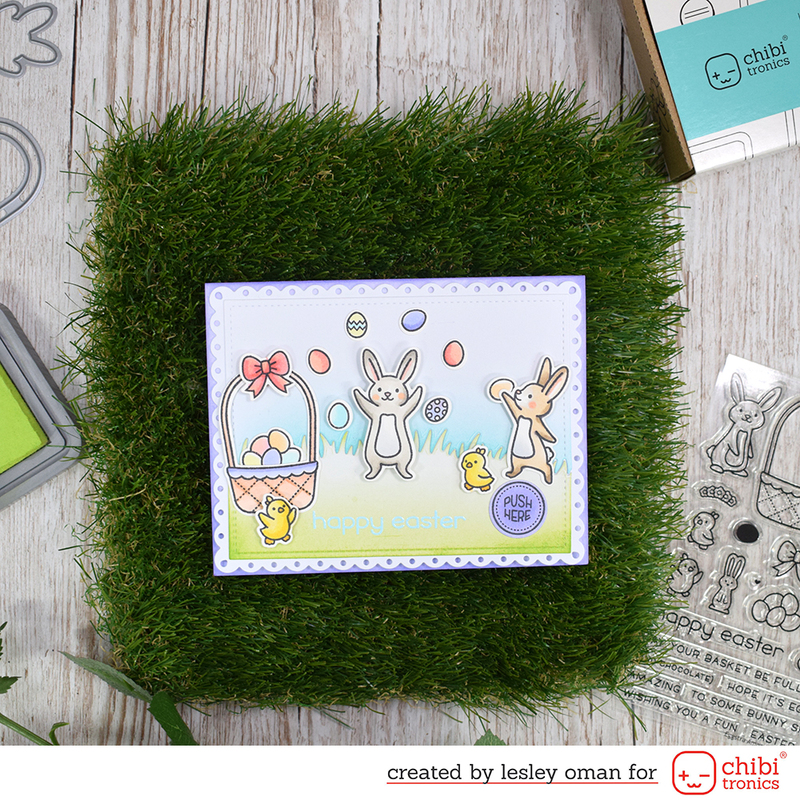 Don’t forget to check out the Chibitronics blog for more information on the kit, for details on how you could win a crafty prize, and of course to see other fantastic projects made by the Design Team. 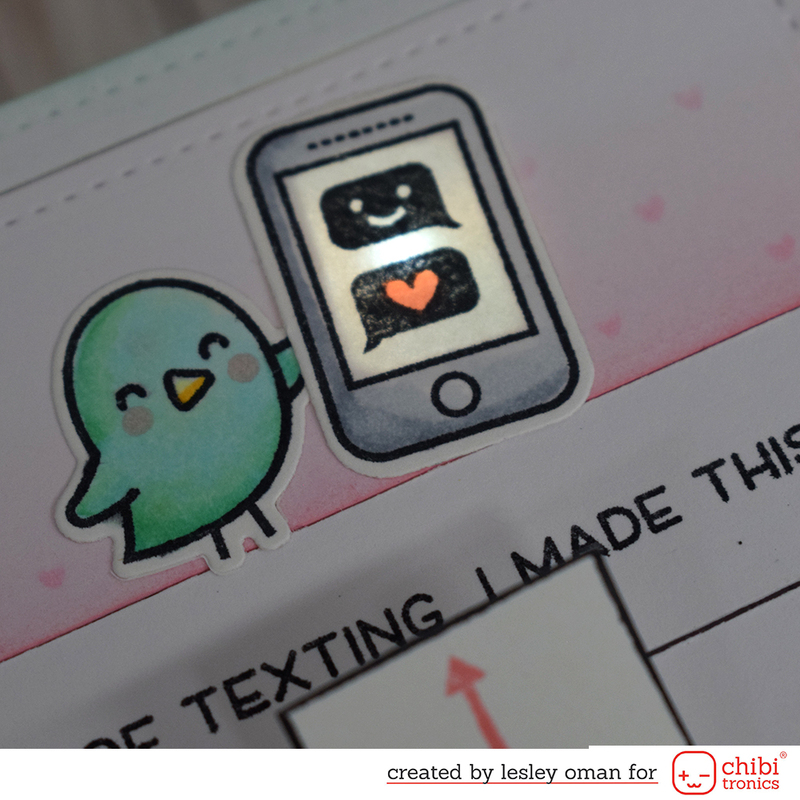 Hello crafty friends, its time for another collaboration post with Chibitronics. I LOVE these light up LEDs – they are especially fun at this time of the year when fairy lights brighten every street corner! 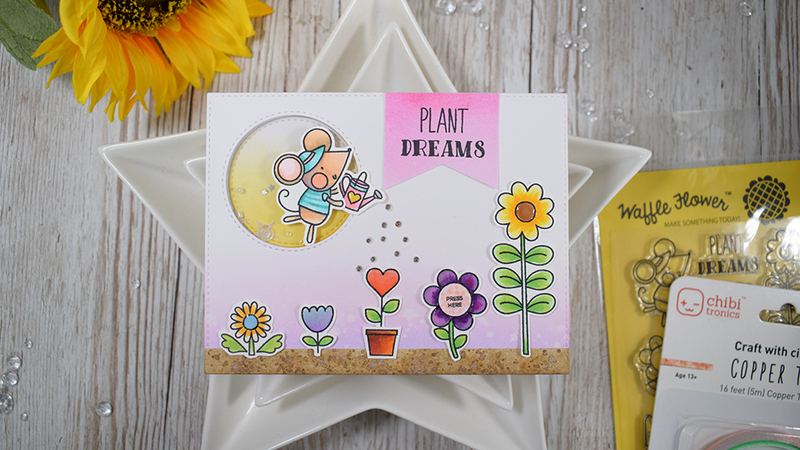 This collaboration is with Waffle Flower, and I actually decided to go with a Summery or Springtime feel with this sweet Grow Happiness stamp set. I guess I am fed up with all the rain we have been having recently! Ha! 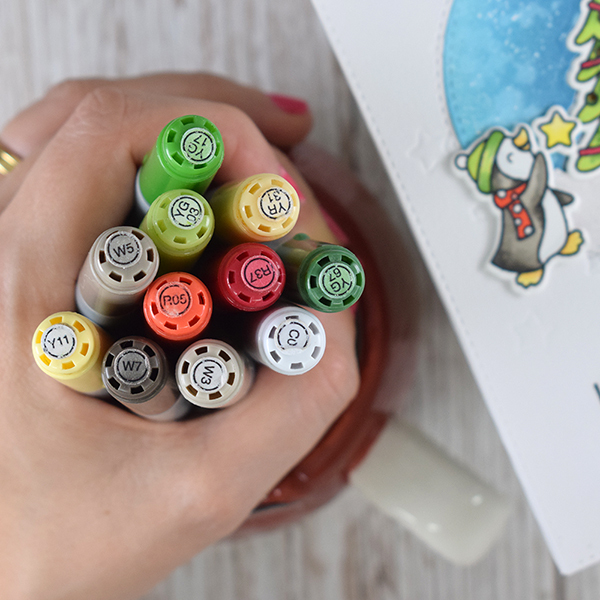 Head over to the Chibitronics Blog today to see more fabulous Waffle Flower Creations made by the talented Chibitronics team. I actually made this card on my LIVE crafty stream. 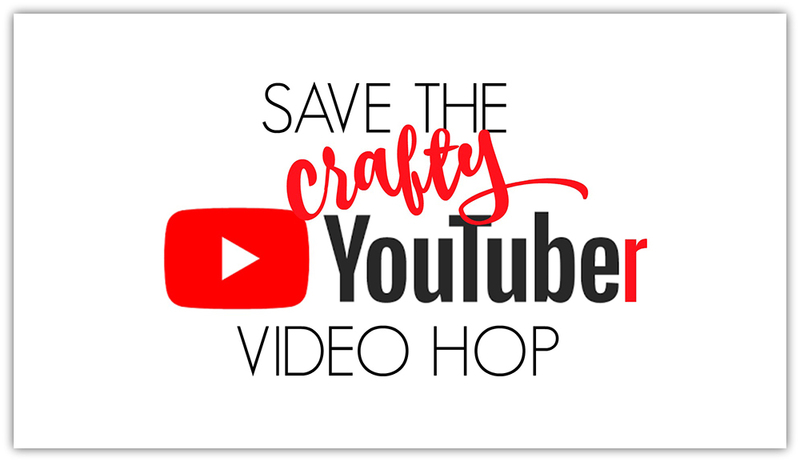 Every Friday (or at least as many Fridays as life can allow 😀 ) I turn on my video camera and get crafty – you can watch the stream live on YouTube and I love it when everyone comments, gives suggestions and challenges me. 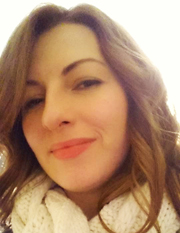 If you are interested in joining the fun, hop over to my channel and subscribe. Be sure to ring the bell to turn on notifications. You can, of course, watch the video on playback if you miss the live – it’s a great background noise when you are ironing, crafting or cosying up on the couch with a glass of wine. Scroll down to the bottom to watch me making this card. 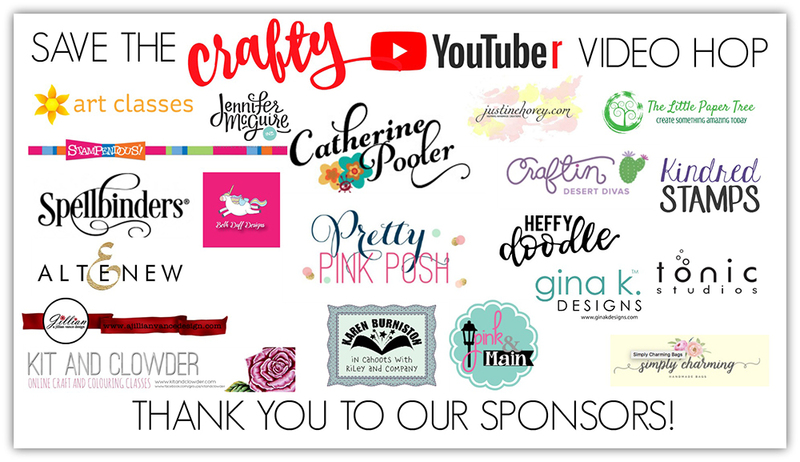 You will get to see all the products I have used, and I am sure you will have a few giggles too! For this card, I did a little ink blending – first i masked off an area for the soil using my Heffy Low Tack Memo Tape – I love this stuff! Then i added some colour to create the pinky purple background. Colour choices were requested by the viewers! 🙂 I coloured my images with alcohol markers, and then used an old tool called the Silent Setter to create little holes in the card front where my water droplets would be. I decided to create a row of flowers, and I made one of these into my push button for the circuit. 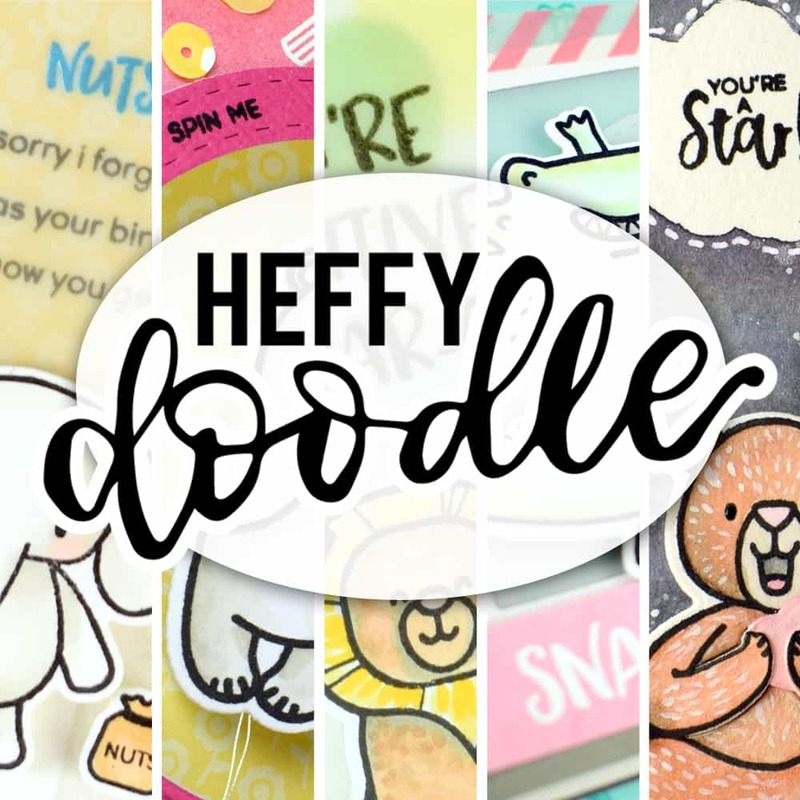 I used the Heffy Doodle Interactively Yours Stamp set to create the PRESS HERE button. The shaker element was such an afterthought! This is often the way with me, especially during the LIVE streams (where I make it up as I go along!). 😀 I added a little yellow ink blending to the inside of the circle (cut with Heffy Doodle Stitched Circle Dies) and I did manage to add a sweet sentiment at the top using a stamp from the Waffle Flower Grow Happiness set. I used some Catherine Pooler Party Dress ink to colour it the most beautiful colour of pink! Yum! There we go! If you haven’t tried these chibitronics lights yet, you really need to. 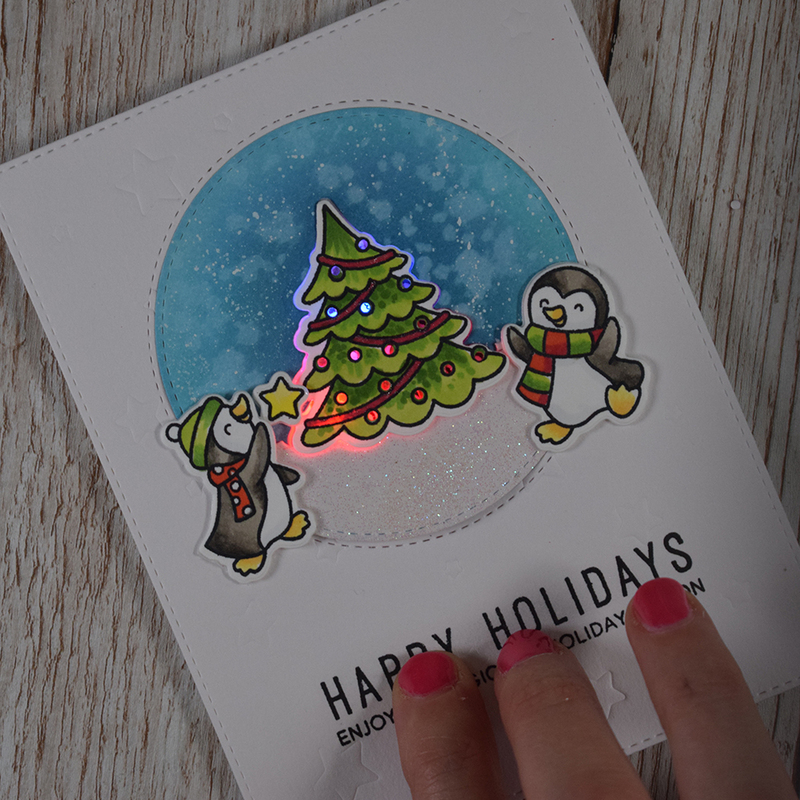 If you need any help, you can always check out my blog or youtube, as i have made many cards with the lights – and feel free to join my live stream where you can ask as many questions as you like. Here is the video of me making this card in real time. 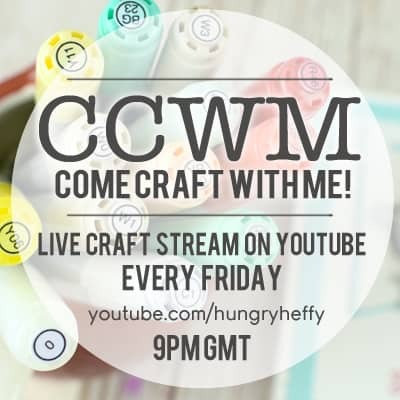 I hope to see you over on YouTube if you are ever free to Come Craft With Me!